Growth hacking is both a strategy and mindset. It focuses purely on growth and customer acquisition (thus the name), and spans further than traditional marketing tactics. It involves coming up with minimally viable products that are quick to market, and continually testing and modifying them until you obtain a perfect product market fit, and, for lack of a better word, selling the hell out of them. The growth hacker prefers strategies with measurable results over traditional, big budget marketing tools like television commercials and print advertisements. Strategies like pay per click advertising, content marketing, and gamification come to mind. Revamping products to focus on features customers love isn’t out of limits either. Engineering, sales, marketing, everything comes together in the growth hacker mindset. It’s basically a startup’s dream come true. 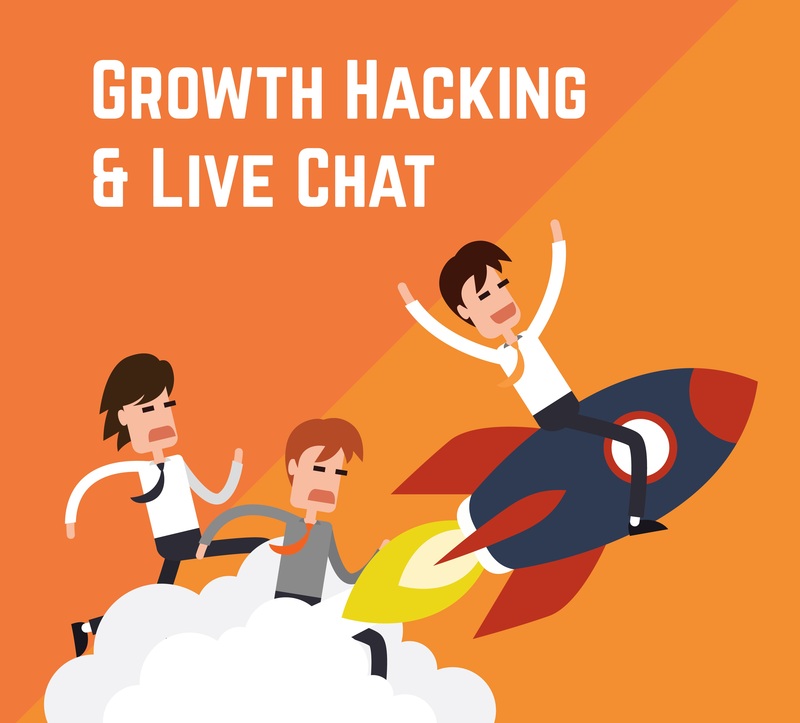 How Does Live Chat Tie into a Growth Hacking Strategy? For starters, it’s safe to say that great customer service leads to happy customers. Happy customers then lead to more word of mouth and a positive reputation for your company, which both lead to…growth! Basically, great customer service is a growth hack. We can also confidently say one of the basic premises of growth hacking is getting big results fast, and on a small budget. So you need to impress with your customer service, but with limited resources. That’s exactly where live chat comes in. With fast, affordable setup, live chat can help startups and small businesses serve clients well from the get-go. And when you outsource to a company like YourChatTeam, you’re getting more growth with limited resources which again, is the essence of growth hacking. Outsourcing your support to a third party also frees you up to pursue your passion- again, more growth. We’d call that a win-win. Another aspect of growth hacking is an ever-evolving product and strategy. Live chat can fit into this as well- if you choose wisely. What you need is a live chat partner that aims to learn and grow with your company. Scalability is definitely important here. However, first and foremost is the willingness to continually improve they way they serve your customers, and doing so in an informed manner, using metrics like customer response rate to certain greetings and promotions to perfect your customer service strategy. Aka continually testing for measurable results. Sound familiar? With feedback from their live chat agents, they can identify more or less popular products and services, improve your FAQ (or help build one if you don’t have it yet) and even improve your website usability. Finally, growth hacking emphasizes the weakness in living in your own “bubble”. It puts every factor into consideration when making decisions. Just as sales and product management do not operate independently in the growth hacker mindset, neither do marketing and customer service. Every interaction is an opportunity to delight your existing and potential customers and help you grow and lower your churn rate. If you agree with this line of thinking- what Zappo.com’s CEO Tony Hsieh calls “branding through customer service”, then providing exemplary, 24/7 customer service is a growth hack in and of itself, and an absolute no-brainer. Want more details on how live chat can work for your business or organization? Chat with us, we’d be more than happy to discuss!